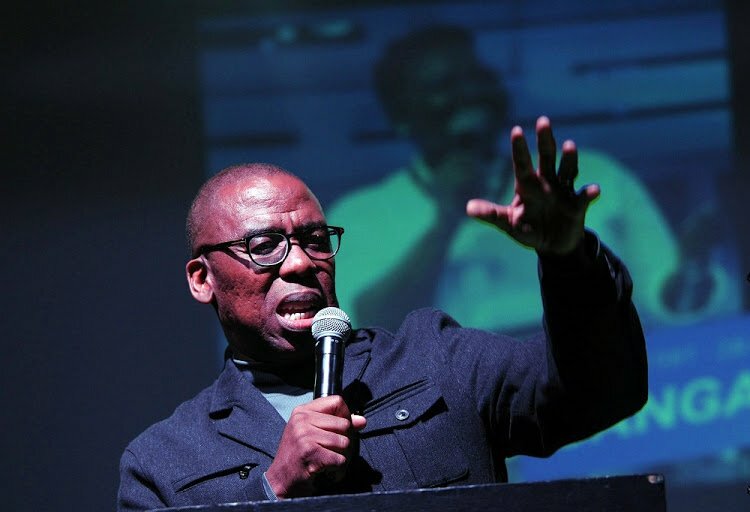 Joyous Celebration founder Jabu Hlongwane was among the last to pay tribute to Siyasanga Kobese. This was during the memorial service that was held yesterday afternoon. His speech evoked bittersweet emotions among mourners. He started by talking of how Siyasanga came for the auditions having quit her job and was dressed in overalls. They had no option but to hire her. For Jabu, there was potential for Siyasanga to flourish even more than she already had. “It feels like she stayed longer at Joyous than she ever did. We thank God for allowing us to walk with her. There was a potential for her to flourish even more but we are grateful to have known her. “This memorial service is exactly what she would have loved because it represents the colorful array of friendships she developed from her acting career and music career. Jabu was grateful to God for having been given the chance to work with Siyasanga. Siyasanga died in a road accident that claimed the lives of not only her, but others, including Akhumzi Jezile. She is set to be buried this week.